Social media. For many retailers this term is usually tied to marketing and public relations, and why wouldn’t it be? There’s no other tool out there that allows you to market yourself, and communicate with customers for free (in most cases). Facebook, Twitter, Pinterest, Google+, and all the other networks are designed for people and organizations to interact with each other. But what if I told you social media can have another purpose, one that benefits Loss Prevention teams. That’s right, loss prevention using social media as a tool in reducing fraud. It may seem like an unlikely fit, but think about the way social media works. It’s almost a different world, and some people forget that there is a connection between their social world and the real world. Because of this, people tend to post anything and everything on social networks (even if it may be illegal). Social sharing and forum site Reddit has recently seen a massive increase in people confessing to crimes, including theft and fraud. When it comes to the big two, Facebook and Twitter, they can be a gold mine for loss prevention teams. Along with documenting every more they make, people tend to document lucky things that have happened to them. For example, say you have an unknown shrink issue in your store. A quick social media search may turn up the following: “just got a bag of chips form Retailer-X half off!” If you are Retailer-X, problem solved. You now know that chips are ringing up wrong causing shrink. Of course there are many other ways to use the power of social media for loss prevention. It can even be utilized as an operations tool. If you want to read more about this topic, check out our white paper which goes into detail about the benefits of social media for loss prevention and operations. 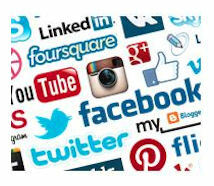 All in all social media is a very powerful tool, and it’s the next big think for loss prevention and operations.